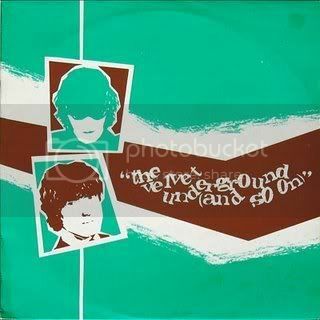 As with most stories regarding the history of the Velvet Underground, the tales behind each of the songs presented here are fascinating. "It's Alright (The Way That You Live)" and "I'm Not Too Sorry" are among the very first recordings ever made by the Velvets, and they are among the prettiest melodies that Lou Reed has ever written. According to Sterling Morrison, these songs were recorded in an unheated studio on Broom St. in New York City in the winter of 1966, "probably in November or December." They were recorded on a wobbly Wollensack tape machine, intended as demos to copyright the songs. Maureen Tucker had already joined the group, but did not play with them when these tapes were made." "Guess I'm Falling In Love" is not the same version as the track from the "Peel Slowly And See" box set. "Pale Blue Eyes" is from La Cave, October 2, 1968 tape - it doesn't include the false start but has the famous alternate lyrics. "Stephanie Says" is different mix than official LP "VU" version. This bootleg was published in 1982, reissued in 1983, then in 1990, some on green vinyl, some on marble purple/multi-color. 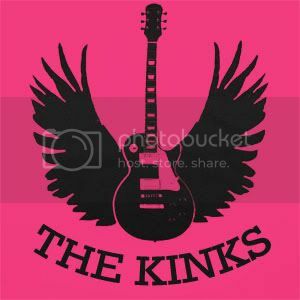 The Kinks, probably more than most of the great Sixties British bands, have too often been the victims of merciless, and at times brainless recycling at the hands of record labels. Here are many of their lesser known works and alternate recordings. A good few of these have appeared on bootlegs, and American releases such as the ‘Kink Kronikles’ and ‘Great Lost Kinks Album’. Others were recorded for albums that never quite materialized (ie. Dave Davies solo album) or were only available only in demo form. In recent years, the Castle reissues have resurrected some of these as bonus tracks. For the uninitiated, this can be frustrating, because no attempt has been made to explain the origins of songs, or place them into a meaningful context. 34 tracks in all, track listing in comments.